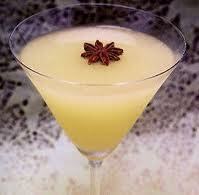 Tequila Ghost drink recipe made with Lemon juice,Tequila,Pernod,. How to make a Tequila Ghost with all the instructions and ingredients. Add all ingredients to mixing glass filled with ice. Shake and strain into glass filled with ice. Shadow Ghostbuster View This Recipe! The Ghost Of Glendon Bramwell View This Recipe! The Gray Ghost View This Recipe! Neon Ghost View This Recipe! Renegade Tequila View This Recipe!